One of our bestselling silver rings on the website which is part of the oxidised wrinkled range of silver jewellery from Tianguis Jackson. The ring has a wrinkled designed with a black oxidised finish on all the low parts of the ring, with a high polished finish on the highest part of the wrinkled design. 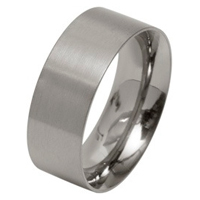 The ring has a tapered design with the ring thinning down at the back. Due to the design of the ring it is not possible to size this design in the future, we are however able to exchange the unworn ring for another size within 30 days of purchase should the need arise. The Silver Oxidised Wrinkled Ring have an Oxidised finish.